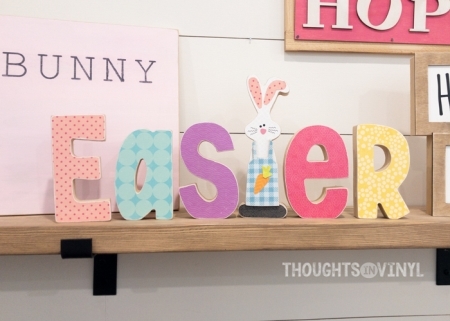 The letters "EASTER" and the carrot and bunny shapes are cut with a laser. They are birch, so this wood can be stained or painted. The laser cut edge has a nice, burnt finish. Overall size is 16" wide x 5.25" tall. 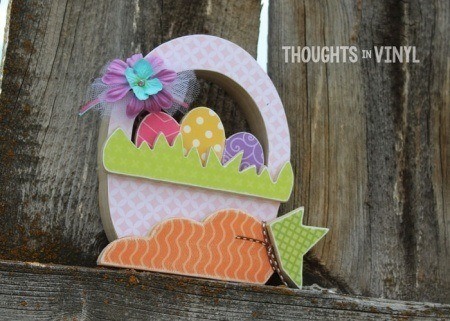 *This kit does not include paper for the laser cut letters "EASTER". 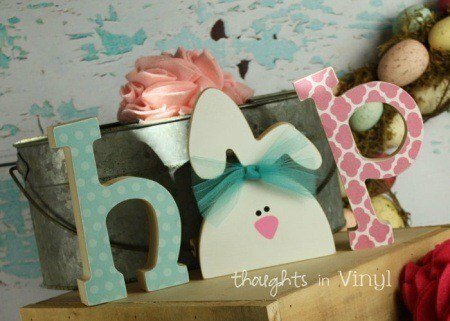 We painted those letters white in this sample.